Estonia is the northernmost of the three Baltic States. 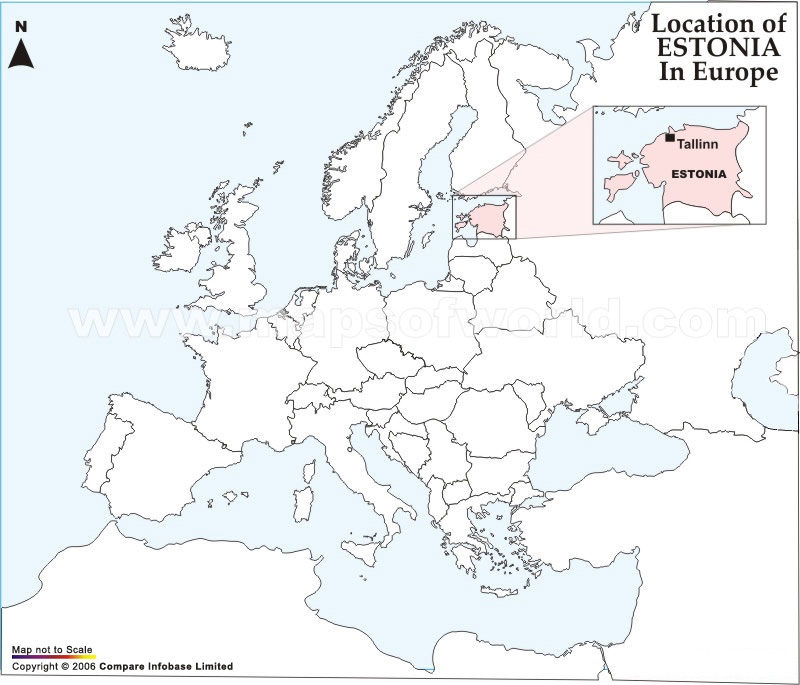 It is located on the north-eastern edge of the European Union, bordering Russia, Latvia and the Baltic Sea. Tallinn is the capital, the best protected and intact medieval city in Europe and by far the biggest city in the country. 1500+ islands: Most are tiny but the inhabited ones offer beautiful, peaceful and friendly atmospheres and a traditional culture that opens a window on how Estonians used to live. Swedish, German and Russian History: Each has left their marks on the landscapes and culture. Air, water, and land pollution rank among Estonia's most significant environmental challenges. One of the worst environmental offenders was the Soviet army. 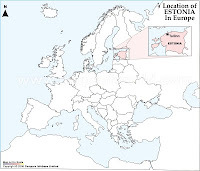 Across military installations covering more than 800 km² of Estonian territory, the army dumped jet fuel into the ground, improperly disposed of toxic chemicals, and discarded outdated explosives and weapons in coastal and inland waters. In the 1990s, during the army's withdrawal from Estonia, extensive damage was done to discarded buildings and equipment. The worst damage has been done to Estonia's topsoil and underground water supply, for which the clean-up operations entailed great efforts and costs. The combination of dust and sulfur dioxide from the burning of oil shale by power plants in the northeast part of the country and airborne pollutants from industrial centers in Poland and Germany poses a significant hazard to Estonia's air quality. However, the amount of pollutants emitted to the air has fallen steadily (the emissions of 2000 were 80% less than in 1980). Estonia's water resources have been affected by agricultural and industrial pollutants, including petroleum products, which have also contaminated the nation's soil. Coastal seawater is also polluted in certain locations. Some rivers and lakes within the country have been found to contain toxic sediments in excess of the accepted level for safety. However, in connection with the start-up of new water purification plants, the pollution load of wastewater decreased. As of 2001, 11% of the total land area was protected, including 10 Wetlands of International importance. According to UN sources, 14 types of plants and 38 forms of lichens are extinct. As of 2001, the list of threatened species included four types of mammals, two types of birds, and one type of freshwater fish. The European mink and the Atlantic sturgeon are among those listed as endangered. After being under USSR control for over fifty years, the country re-established its independence in 1991 and has made much progress in the consolidation of its democratic political system. Estonia’s recent history is a convincing example of the potential importance of civil society and social movements in directing social change. Civil society’s ability to mobilise people for revolutionary action gives no guarantee, however, of its capacity to participate in the process of building and consolidating new democratic institutions. 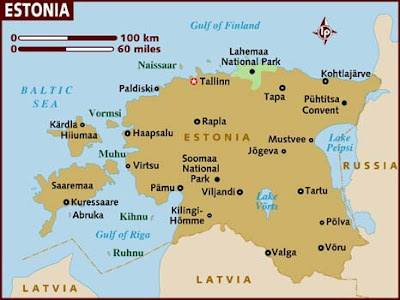 Not unlike the developments in several other post-communist and post-authoritarian countries, newly independent Estonia experienced a rapid institutionalisation of political democracy and capitalism along with a demobilisation of social movements in the early 1990s. In spite of civil society’s important role in the recent past, it currently forms the weakest link in the Estonian democracy. This is not so much caused by the number or diversity of the existing organisations – in comparison with most of Central and Eastern Europe Estonia has a very high number of civil society organisations (CSOs) per capita – but by their insufficient resources and reluctance to participate in the development of Estonian society. Their rather limited fields of activity focus on culture, sport, charity, the rights of marginalised groups and the promotion of economic interests. Importantly, CSOs do not consider the delivery of state services as one of their primary roles, believing that their most important function in society is to publicise the opinions of social groups and inform the public. The non-profit sector as a whole does not constitute an influential actor in the democratic development of Estonian society. However, there are indications that attitudes towards civil society are beginning to transform. According to OECD there are about 17 environmental taxes in Estonia, among which 3 regard fuel, vehicles and electricity, 2 regard air pollution, 5 regard water, 3 regard waste, while the remaining 4 refer to use of resources and nature protection. There are also some environmentally motivated subsidies with the purpose of: waste minimisation, finance the international, national, regional and local programmes and measures, which are in conformity with the National Environmental Strategy, reduce greenhouse gas emissions, pollution reduction, fulfillment of EU requirements and introduction of ISO 14001 standards, promote sustainable environment usage, reduce waste and water pollution. In Estonia the increases in excise duties have been used to finance substantial cuts of personal income taxes up to 2008. Revenue from environmental taxes forms 8.3 % of total taxation in 2009, exceeding the EU average by nearly one percentage point. The proportion of environmental tax revenues displays a rather steadily rising trend from 1995 onwards, reflecting partly the need to adjust the excise duties up to the EU minimum rates, but also a deliberate policy of the government to finance the cuts of personal income taxes by increases in consumption and environmental taxation. The long-term aim of the tax policy is to shift the tax burden from income and employment towards consumption and the environment. Most of the excise duties have been increased in 2010, including those on alcohol, tobacco, transport fuels, liquid fuel and electricity. Excise duties on transport fuels and natural gas were increased also in 2009. All the excise duties exceed now substantially the EU minimum tax rates with the exception of oil shale, for which there is a transition period up to 2013. Small companies seem to associate socially responsible activities primarily with respect for the environment. Very large companies tend to associate the concept of social responsibility with the correction of social inequalities, whereas only few of these very large companies believes that respect for the environment is related to the concept of social responsibility. Protecting the environment is considered to be one of the companies’ main roles in society by nine out of ten Estonian companies. However, only half of these companies are absolutely convinced about this role. As observed with social projects, respondent companies appear very hesitant about their environmental project plans for the next five years. In order to implement their environmental projects, most companies collaborate with a number of institutions that can be broken down into: other businesses; municipal institutions; CSOs; governmental institutions; and community institutions. Activities providing education and information on environmental issues (for example, school programs, community meetings, internal training, etc.) are not very popular in Estonia. The companies that develop these activities address them primarily to their employees and secondarily to management, local communities, and company owners. Institutions, employees’ families, and other stakeholders are the participants in 15 percent of these activities. Recycling programs are more widespread, present in almost half of respondent companies. Non–financial services companies and large companies seem to be behind other companies in the adoption of recycling programs. A large majority of Estonian companies have no environmental certification.